BOSTON WEB DESIGN - LET'S GET IT RIGHT THIS TIME. drives traffic and generates leads while leaving your competition in the dust. No matter your industry or your business, your clients are checking you out online. They do it to research your company and they do it out of convenience to view your product/service. They aren't looking for a directory or plain text either, so it's best to have a professional web design service in Boston rebuild or build your website. and will expect to pay you less. Furthermore, if they can’t see you, or worse, if they form an opinion of your business based on your less-than-impressive website, you remain out of the public’s consciousness. That’s never good for an up-and-coming company or an established business. We’re here to help you reverse any issues that exist and create a responsive website that attracts the right prospects and converts them into paying customers. Let us help you increase sales and your bottom line by revamping your online presence. We’re doing it full-scale, utilizing all the possible tools and making sure your site is mobile-friendly and scalable. If there’s anyone in Boston who can help you with professional web design and development, it’s FireRock Marketing. We use multiple foundational factors instead of sticking to one. 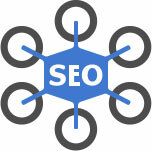 This way, the site is SEO-optimized, designed well, and will add directly to your bottom line. FireRock is a trusted Boston web design company creating compelling marketing solutions including website development, digital marketing and strategic marketing communication models. Our Boston web design services delivers strategy, lead generation and growth. 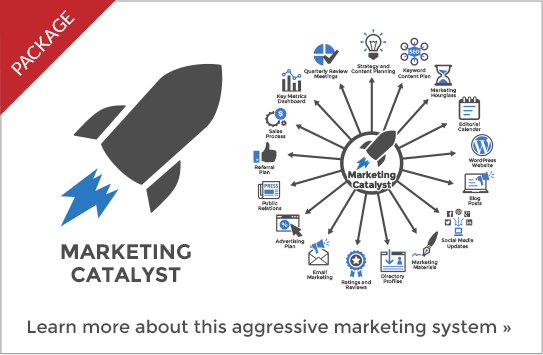 FireRock Marketing Presenting a Powerful Marketing System to Grow your Business. If you are looking for a modern, responsive website with all the latest marketing automation functionalities without paying the large price tag from a large agency, give us a call. Read more about our Boston web design services. Simple point and click editing for almost every text or graphic on your site. We educate you so you and your team can integrate changes and understand the dynamics of a great website design. Boston web design and SEO company for your digital strategy needs. Easily integrate text, video, audio, graphics, ebooks and optimize blog posts with only a few clicks. Amplifying content through your website requires expertise and a platform that can support content marketing. Mobile friendly responsive layouts are built in so your site displays on smartphones, tablets, laptops and desktop computers. People are on the go and mobile search has surpassed desktop for the most common way people find you. Powerful social sharing, linking and optimization tools are built in and ready to go from day one. One of the best ways to engage your audience is through social media. We make your website ready for social sharing of your content to promote your expertise. Build your community with powerful email marketing features that integrate with leading email marketing tools. Email mrketing requires email. Our marketing automation engages site visitors and invites them to engage with content upgrades so that an email can be captured for ongoing communication outreach. FireRock Marketing is a premier Boston Web Design and SEO company offering custom website solutions, SEO, SEM, strategic customer interface, branding and digital marketing. Learn about our refreshing and affordable website solutions. Our commitment to attract, engage and convert traffic with an eye to form and function is what makes us a premier digital marketing company. We are a Boston Web Design Company with experienced expert website designers and programmers. We spend the time necessary to understand your business, what your website needs to accomplish and creating a user experience (UX) that delivers results. The perfect place to start. With FireRock Marketing your website will become a powerful platform for your marketing success. When we build your custom website we combine branding, messaging and engagement with a sophisticated targeted website package for your local, regional or national business. We create a custom digital experience for your audience that establishes you as the market leader in your niche. You get an easy to manage and powerful website that beats the big boys in your market. Start to transform your brand and online presence today! Web design includes a lot more than just choosing key colors and using keywords. You need a website that will market your business for you. The goal is to ensure your website has high conversion rates and low bounce rates, increasing your bottom line. Unfortunately, if you are working with an SEO agency or a web designer, there’s a good chance that you’re not getting a marketing activated website, which means you’re potentially wasting your money. Your website might be getting a lot of traffic but is it converting visitors to engage with your company. A marketing activated well optimized website should attract the right audience and convert them into paying customers that contribute to your bottom line. When it comes to web design, search engine optimization (SEO) just isn’t enough for a great website that offers great marketing results to your local business. SEO does not necessarily convert visitors into customers. If the SEO is done well, it can get your rankings, but that’s not enough to increase your bottom line. No matter how great your rankings are in the search engines, a generic website that does not position your local business as the logical choice isn’t going to bring you business. What your small business really needs is a marketing activated website. Your entire website should be designed to bring in leads and grow your business. A quality website should bring in multiple disciplines under the same roof. Instead of just bringing in good SEO, a marketing activated website will have SEM, branding, conversion optimization, persuasive copy, great design, and code that brings everything together. Every part of your website should be working hard to market your business and increase your bottom line. This includes appealing to the local market by integrating local Boston SEO. The right marketing mix defines product, price, place and promotion. Carefully crafted combination of sales and marketing is vital for a successful business growth and organizational success. The odds are good that your prospects are looking for you online right now – using a mobile device. An increasing number of searches are done on the go these days, and mobile searches are highly likely to result in a sale for some business that takes its mobile site seriously. With no pinching or zooming needed to navigate a mobile responsive site, your on-the-go prospects will understand from the start that doing business with you will be a wonderful experience. If you’re simply working with a web developer or web designer, you’re not going to get the web design you need to grow your local small business. These people are not designing a website with your bottom line in mind. Most developers and designers are simply thinking about their own bottom line, even if they are great people. What you need is to work with a professional that has experience and extensive training in building marketing activated websites. A marketing consultant understands the power of building a website that is both a business grown and lead generation system. 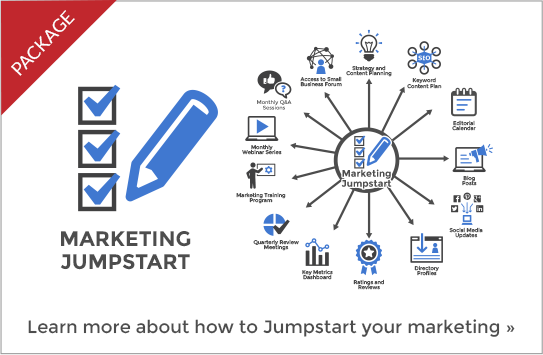 Instead of working with someone who only sees the design of your website and their own bottom line, you want to work with an experienced marketing consultant whose goals are aligned with yours. You want to work with someone who has the success of your business in mind when it comes to website design. Boston Web Design and Digital Marketing agency FireRock Marketing will design your mobile ready, responsive website and leverage your website to grow your business using mobile friendly design, SEO, Social Media Marketing. Content Marketing and online Marketing Strategies. Do not trust your website to someone who doesn’t understand marketing. Work with a marketing consultant that will help you create a marketing activated website that brings you results. Here at FireRock Marketing we have Boston Web Design experts for any sized website.